This remote will ONLY WORK WITH our Wireless Fan and Wireless Slave. 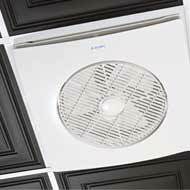 The Drop Grid Ceiling Fans are available in two types: Master and Slave. The Master will include a remote so purchasing a remote separately is not necessary. 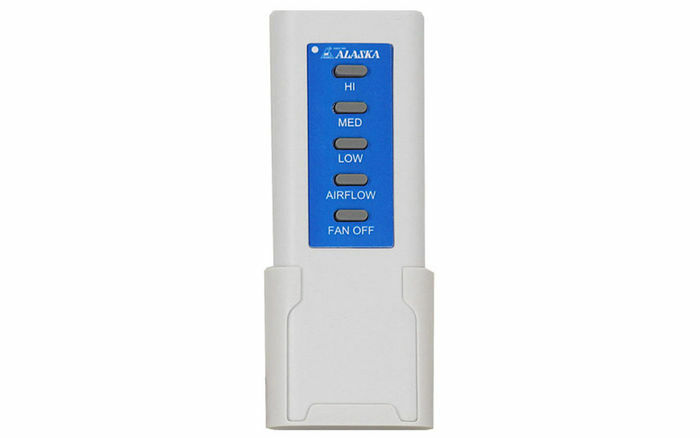 The Slave fan will not have a remote included because all available fan remotes will work on the fans that are purchased. The remote in the Master setup will function on the Slave. Thinking about adding more fans and an extra remote is needed or perhaps the remote that you got originally has wore out. 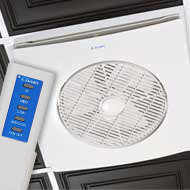 This controller is the exact type that a Master Drop Grid Ceiling Fan would include. UL Listing means that UL has tested representative samples of the product and determined that it meets UL's requirements. These requirements are based primarily on UL's published and nationally recognized Standards for Safety. References to UL and the UL Listing may include: the UL Listing Mark. The Control that came with the fan failed. Bought this as a replacement and it works just fine.